New York weather is very changeable with moderate rainfall all over the year. There are some heat waves in Summer (June – September) and very cool weather in Winter (November – April) and even in the early Spring. Snow is concentrated in Winter months. On average, Western New York is much cloudier than South and East New York because of the Great Lakes in the West. The Great Lakes region also has the highest annual rain and snow amounts in New York state. New York has roughly 10 tornadoes each year. Summer temperatures usually range from the upper 70s to mid 80s °F (25 to 30 °C), over much of the state. Most Winters, a temperature of −13 °F (−25 °C) or lower can be expected in the northern highlands (Northern Plateau) and 0 °F (−18 °C) or colder in the southwestern and east-central highlands (Southern Plateau). What’s the best time to visit New York? April is the wettest month. This month should be avoided if you don’t like too much rain. What are the things to do in New York during the year? 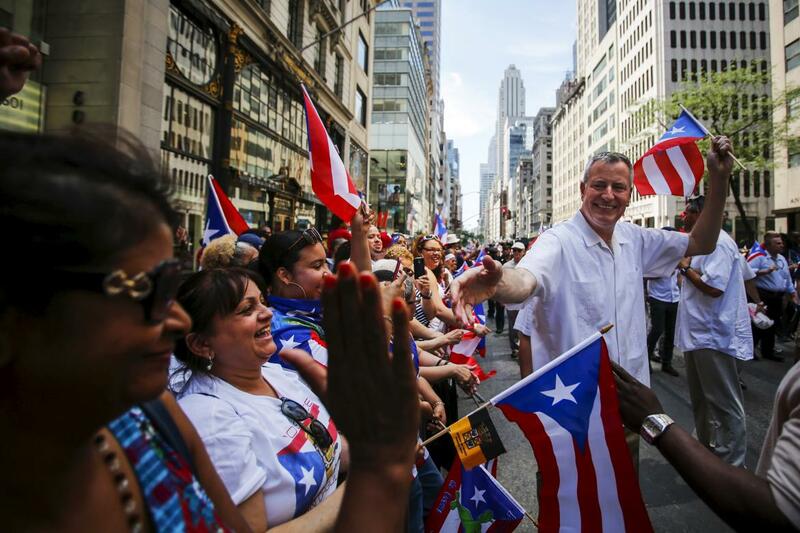 80,000 Puerto Ricans march on Fifth Avenue from 44th to 79th Streets in Manhattan as part of the annual National Puerto Rican Day Parade to celebrate their community, country and culture. To say this event is “lively” wouldn’t do it justice! It attracts around 2 million spectators every year, together with energetic musical performances, floats and a host of Puerto Rican celebrities. 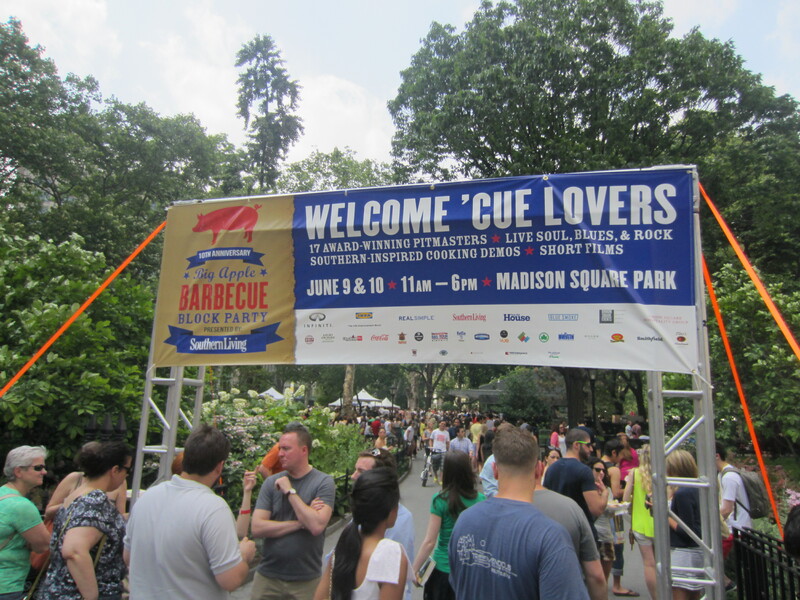 This yearly meaty feast brings authentic, top-quality BBQ to NYC’s Madison Square Park. Every year the event draws the finest pit masters from New York City and around the USA, including BBQ capitals such as Tennessee and Texas. You can count on beer and music in plus the mouthwatering ’cue, which costs around $10 a plate. 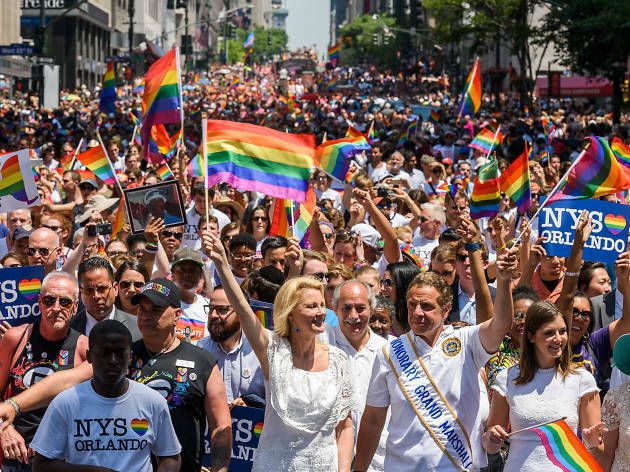 New York City embraces its great diversity as a source of strength, and that’s always clearest to see during the Gay Pride Week. The city is home to one of the most vibrant, thriving gay, lesbian, bisexual and transgender communities in the world. Progress for LGBT rights made in NYC and around the world since the Stonewall Riots of 1969 is celebrated and the week ends with the famous colorful floats in the march down Fifth Avenue on the last Sunday in June. The nation’s most dazzling fireworks are lit up to celebrate the country’s independence. 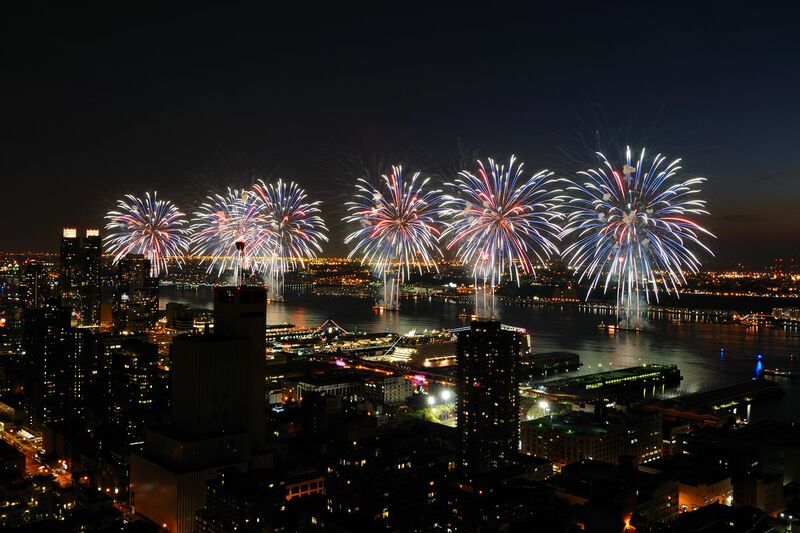 New York always promises to hold some of the largest, outstanding displays every year. Music and dance accompanys the fireworks and they are a hit for bright, majestic and festive evenings. Every year, courageous, competitive, hot-dog eaters with elastic stomachs take part in Nathan’s Famous Fourth of July Hot Dog Eating Contest. With lots of excited fans encouraging them, it makes for quite the show. A chosen group of skilled eaters gathers at high noon, eating Nathan’s dogs for 10 straight minutes, stopping for nothing—not a drink, not ketchup, not even a french fry!